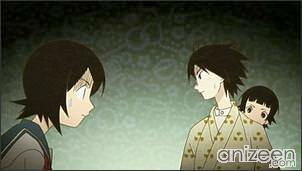 Sayonara Zetsubou Sensei revolves around a very pessimistic high school teacher named Nozomu Itoshiki who tries to hang himself on a cherry blossom tree. Despite his best efforts, he is saved by a very optimistic girl known as Kafuka Fuura (whose real name is unknown). She explains to him that it is simply unforgivable to hang himself on such a nice day, especially in front of such beautiful trees. She decides to nickname Nozomu “Pink Supervisor”, and offers to pay him fifty yen to call him by that nickname. After having enough of the strange girl, Nozomu bolts to the school and starts his homeroom class, but the attempt to escape was in vain as he finds that the girl is one of his students. He tries to install his dark philosophy into his high school class students, but as supposed, he fails once and again. Evenmore, he gets the reputation of having a great class, mainly because of Fuura Kafuka (Kafka) who is his polar oppopsite. One quick scene describes them as “a man who can see nothing hopeful” and “a girl who can see nothing hopeless” that were “never meant to meet”. 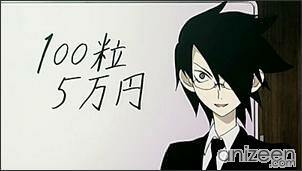 The teacher is in despair because the numerological analysis of his name is completely horrible, and even worse, when his name is written in kanji vertically, it’s Nozomu Itoshiki, but when one of the students writes it horizontally, the “ito” and “shiki” look like they form a single kanji, which combines to make his name “zetsubou” meaning despair. Besides that, Fuura is constantly trying to rename the teacher “Pink Supervisor“. The teacher’s kimono is colored by moving patterns like in “Gankotsou” which is distracting at times. 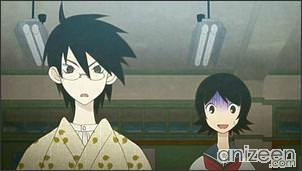 In Zoku Sayonara Zetsubou Sensei, Nozomu proposes a big plan to make money to the class, but a few of them end up being more concerned about him. After various trouble in the city, Nozomu runs into someone who believes he is a member of their organization. Nozomu is unable to accept this, causing masked individuals to appear all around him. Nozoumu runs in fear from this, ending up on a strange island. Nozomu soon finds himself as a victim for an experiment, causing him to run away in despair afterwards. Nozomu thinks for a second that life as a monster may not be that bad, until he finds himself surrounded by creatures. 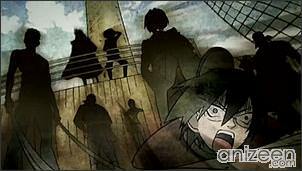 Nozomu escapes by jumping off of a ledge into the water below, only to encounter more trouble. Kafuka finds him washed upon the shore later, taking him to the hospital. 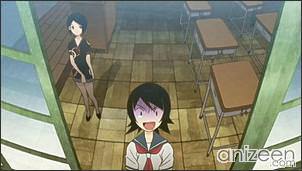 When Chie sees Nozomu, she reveals to Kafuka that he is actually her class’s new teacher. Nozomu is quickly given a new nickname after he introduces himself to the class, making him wish to die later. 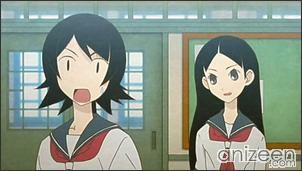 Chie, Kafuka, and Chiri approach from behind him, however, suggesting a marriage before his death. Nami approaches the school, troubled because no one worries about her. When she enters the classroom, she finds Chie who is there by accident. Nami begins taking actions to have others worry about her, but all of them are countered by other students who are more unfortunate. She makes the biggest fuss when she prepares to jump out of a window, but this is easily overshadowed by one of Nozomu’s failed suicides. 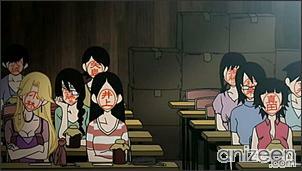 Chiri reveals that everyone in the class is odd, but she is glad that Nami is normal. This makes Nami despair even more, bringing up on the negative meanings of normal. Nozomu Itoshiki is the main character, a high school teacher. When his last name is written horizontally, it looks like zetsubou (絶望), which fits his extremely paranoid, pessimistic, depressive and suicidal mindset. Kafuka Fuura is a female student who sees everything in the most positive light possible. Kafuka is seemingly the exact opposite of Nozomu. Often creating bizzare explanations for grim things. For example she calls suicide by hanging “Trying to become taller” or calling the act of stalking “deep love”. Kafuka Fuura is only a pen name, originated from the writer Franz Kafka. 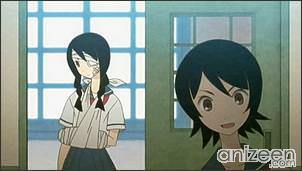 Rin Itoshiki is Nozomu’s sister. Her name becomes zetsurin (絶倫) when condensed, and she excels in many things. However, since zetsurin is also slang for “horny”, she threatens to kill anyone who calls her that. Mikoto Itoshiki is the third son of the Itoshiki family. He is a doctor in his own “Itoshiki Hospital“, but his patients feel uncomfortable being treated by him because his name resembles zetsumei (絶命). He hates being called “Zetsumei sensei” (“Dr. Death”) for this reason. Kei Itoshiki is the second son of the Itoshiki family, he is a surrealist painter who is quite full of himself. He has a wife named “Yuka”, which is actually a large stain on his wall. His name becomes zekkei (絶景) when condensed. Majiru Itoshiki is Nozomu’s nephew. He was sent to live with Nozomu because his parents abandoned him. He is quite prone to psychological trauma due to Nozomu’s students’ antics. His name becomes zekkou (絶交). 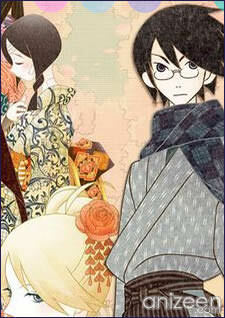 Zoku Sayonara Zetsubou Sensei (【俗・】さよなら絶望先生) is a Japanese manga by Kouji Kumeta, serialized in Weekly Shounen Magazine. It is a comedy about a teacher who takes all aspects of life, language and culture in the most negative light possible. 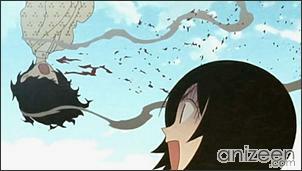 In 2007, the manga received the thirty-first Kodansha Manga Award in the shounen category, and was adapted into an anime. 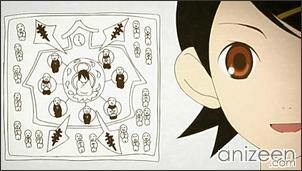 In October 2007, Shounen Magazine announced that a second season of the anime would air in 2008. The second season began airing on January 5, 2008. There will be thirteen episodes. The title of the second season is a pun as the kanji 俗 is a mark used in dictionaries to indicate slang or a vulgarity, and has the same pronunciation as 続, which means ‘to continue’. 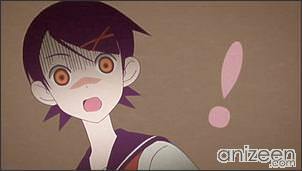 Ending Theme: “Romance Romanesque” by Asuka Tanii, Asami Sanada, Miyuki Sawashiro, Yuko Goto and Miyu Matsuki ep 1–4; “Marionette” by Rolly featuring Asuka Tanii, Asami Sanada, Yuko Goto and Miyu Matsuki ep 5–12; “Amulet” by Ai Nonaka, Marina Inoue, Yu Kobayashi and Ryoko Shintani ep 13. Seems interesting this anime. I had the music, it’s good. When ends lucky star, i start to watch this. Thanks for the info! 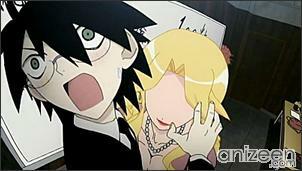 its a very random anything goes type of anime but its very funny and it has a lot of references. I hope the second season can live up to the first, I just finished it. Also, I hope it explains the last two episodes of the first season. They make no sense! 😆 Still on my queue, but it looks funny.